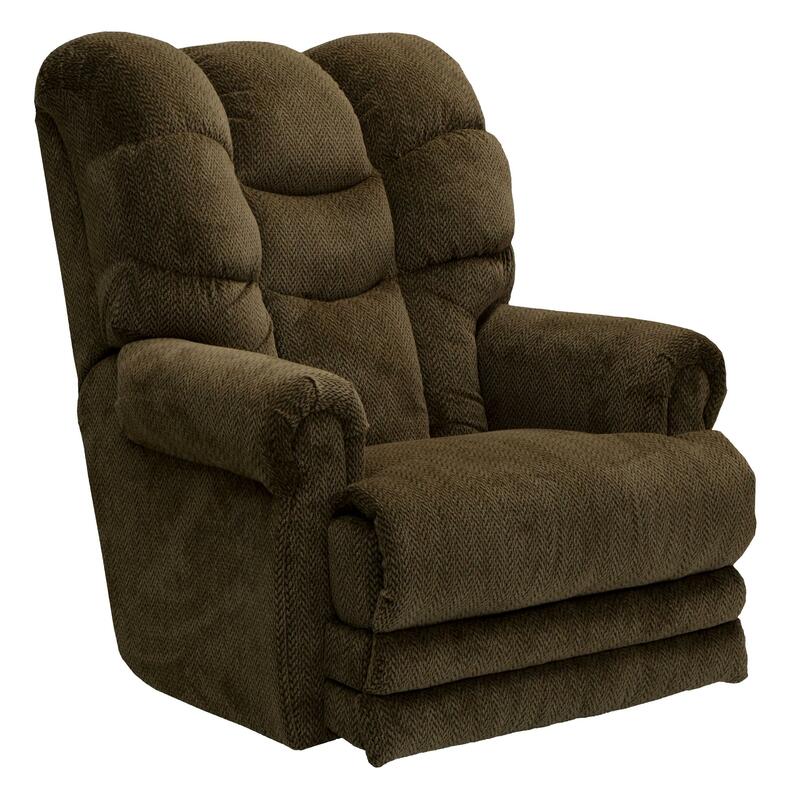 This recliner offers comfort with a casual style. It has a metal seat box for long lasting support and the frame is reinforced with rails for extra strength. A Comfort Coil Seating system with Comfor-gel Memory Foam inserts will help you to relax when you sit down in this piece. Even the chaise-footrest is built with strength in a style that is longer than most recliner footrests. This chair has a removable back for easy moving and delivery and a weight capacity of 400 pounds. The Motion Chairs and Recliners Malone Lay Flat Recliner by Catnapper at Great American Home Store in the Memphis, TN, Southaven, MS area. Product availability may vary. Contact us for the most current availability on this product.